The week leading up to Kaitlyn and Adam's engagement session, the weather forecast predicted a perfectly nice, sunny day. A few days before it predicted the same thing, and then the day before, the weather forecast changed to heavy rain all day. My heart just about sank. 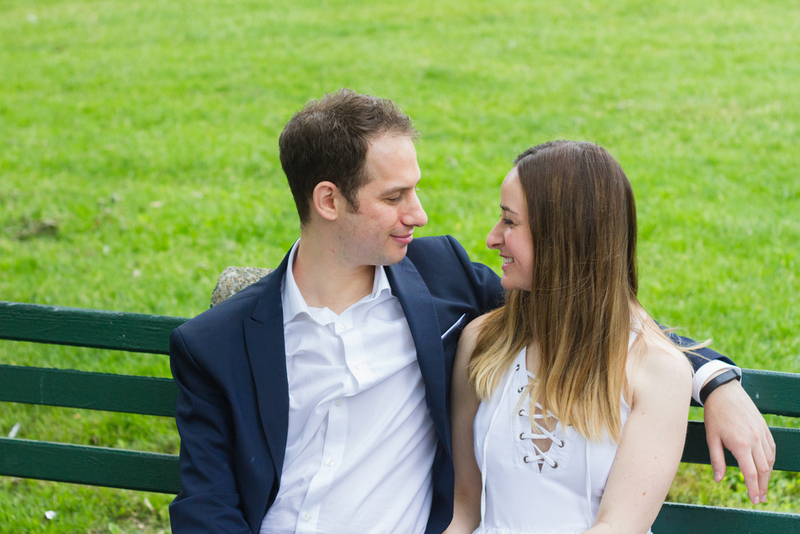 Since Kaitlyn and Adam are from out of town, living in New York City, I didn't want to cancel their session, and was a bit worried that the rain might literally dampen the whole session. Luckily these worries were completely unfounded, and we had an amazing time traipsing throughout Beacon Hill, the Boston Common, and the Public Garden. These two were up for anything as soon as the session started, they just started doing their thing and didn't require any coaching on poses. It was the kind of engagement session I love, I just let these two act how they are naturally, and was able to capture some amazing moments. Some of my favorite photos were created when Kaitlyn and Adam would face each other and Adam would make Kaitlyn laugh. These two just had so much fun throughout the session, whether that was with making faces at each other, allowing their dog Sadie to lick their faces, or doing a grand "Hollywood" style kiss. While I was editing all of these photos, I had a hard time narrowing the photos down to just the amount to use for a blog post, because I had so many amazing ones. 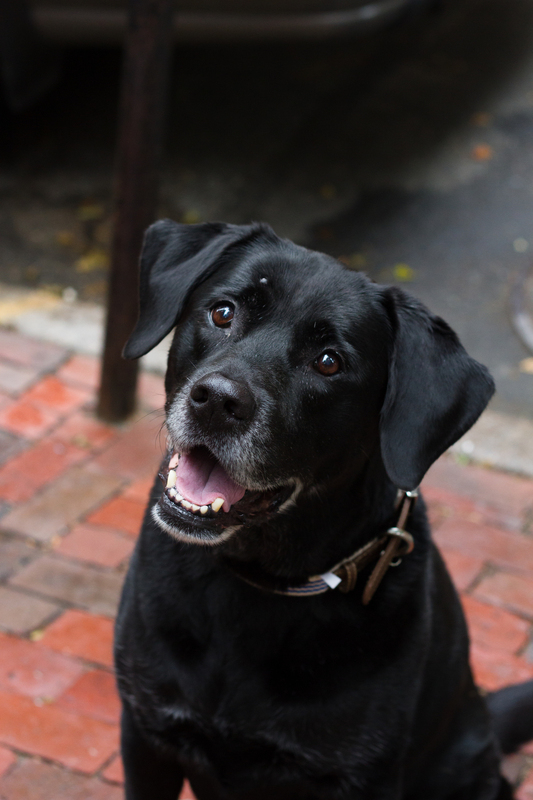 Even their dog Sadie was a total pro, all I had to do was say her name (and advertise a treat) and she would look right at me for a photo. With Kaitlyn and Adam, you don't have to look hard to see the love between them. Even when we weren't shooting photos I could see Adam lovingly looking at Kaitlyn, and I could see Kaitlyn giggling with joy at her future husband. These two just emanate love, and I am humbled to be tasked with capturing it both for their engagement and their wedding.